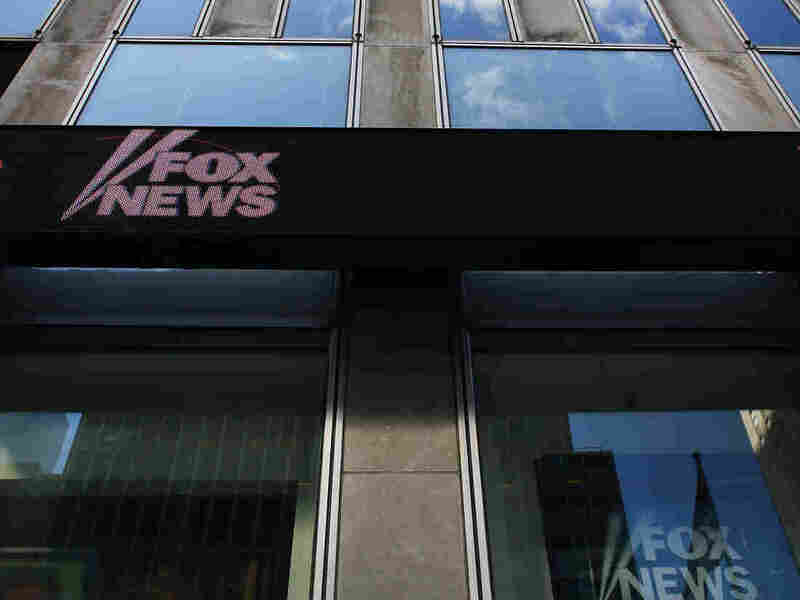 Fox News Fights Back On Lawsuit Filed Over Seth Rich Story Fox News denies that a source in its story about Rich's murder was defamed. Rod Wheeler alleges the network put words in his mouth to prop up what he characterized as a fraudulent story. The News Corp. headquarters, owner of Fox News, in New York City. Fox News denies that a source in its story about Seth Rich's murder was defamed. In early August, a private eye named Rod Wheeler sued Fox in federal court in Manhattan for defamation, alleging the network put words in his mouth to prop up what he characterized as a fraudulent story. Wheeler was suing over Fox's May 16 story about last year's murder of a young Democratic Party staffer named Seth Rich that tied the young man to the leak of thousands of emails of Democratic officials to WikiLeaks. The network withdrew the story a week later, saying it did not meet standards, but it failed to explain why. Late Monday night, attorneys for Fox News and reporter Malia Zimmerman argued Wheeler's quotations resemble those he made elsewhere. "In truth, he was neither misquoted nor defamed," contends the brief submitted on behalf of Fox and Zimmerman. "He made substantially the same statements on the air in several on-camera interviews, before and after the Fox News report, and even stated publicly that the article he now challenges as false 'was essentially correct and worthy of further investigation.' "
NPR has reviewed a taped recording of a three-way conference call that included Wheeler and Zimmerman on the day of the story. In that conversation, Zimmerman concedes Wheeler never made the quotes linking Rich to the leak of emails to WikiLeaks. Here's the twist: Wheeler, a former Washington, D.C., homicide detective, had also been a paid Fox News contributor since 2005. Fox is insisting that Wheeler should be subject to binding arbitration, subject to the terms of his contract as a commentator for the network, which paid him $515 per appearance. And indeed his contract does specify private arbitration to settle disputes. That casts fresh light on a question that has sparked criticism from the day the story first surfaced: In what role was Wheeler acting? To Fox's readers and viewers, Wheeler appeared to be a source for Zimmerman's story. Indeed, Wheeler was the only one mentioned by name. Although his connection to Fox was disclosed, he was cited for his role as an investigator hired to help Rich's parents solve the mystery of who killed their son. A spokeswoman for Fox News says that Wheeler was paid as a commentator for his two appearances on the evening of May 16 talking about the Rich story on Sean Hannity's show and Lou Dobbs' program on Fox Business. However, Wheeler was not compensated for his extensive involvement in Zimmerman's original digital piece that morning (including the disputed quotations). Wheeler's attorney, Doug Wigdor, confirms that sequence. "We are suing for defamation for what was written in the article, not what he said on air," Wigdor tells NPR. Wheeler had been selected and paid for the Riches by another Fox News commentator, though an unpaid one, named Ed Butowsky. He is a Dallas investment manager and supporter of President Trump's who worked behind the scenes to try to link Rich to the leak of the Democratic emails as a way of deflecting criticism of the president. U.S. intelligence agencies have concluded the Russian government commissioned the hacking of the Democratic National Committee's emails to aid Trump's candidacy. Wigdor says the move for arbitration is an attempt to get the botched Rich story out of public view, which he contended raised questions about the network's "broadcast standards." "Unfortunately, they're trying to litigate this case under a veil of secrecy," Wigdor tells NPR. "They're willing to go so far as trying to use an arbitration agreement that covers his role as a contributor, to make an argument that it should cover his role as an investigator for the Rich family — for which he was paid by Ed Butowsky." Wheeler also sued Butowsky, whose lawyers contend he was not party to editorial decisions made by Fox News. Butowsky also argued he is not subject to the federal court's jurisdiction in Manhattan because he lives in Texas. Fox is facing Wigdor in more than 20 other cases. The employment lawyer unveiled another lawsuit Monday evening: The conservative commentator Scottie Nell Hughes alleged that Fox Business Network host Charles Payne raped her in 2013 and that he kept her in a relationship for two years with a threat of violence and the promise to advance her career. That aid stopped, according to the suit, when she finally broke off ties in 2015. Wigdor then alleges that Fox retaliated against Hughes when she raised concerns earlier this year; her lawsuit alleges her name was leaked to the National Enquirer in retribution by Fox's general counsel and chief publicity executive. Payne acknowledged what he called an extramarital affair to the Enquirer. Fox took him off the air during a review by its outside lawyers but returned him to his show earlier this month after concluding that Payne and Hughes had a consensual relationship. Fox News labeled the lawsuit "a publicity stunt" without merit; a lawyer for Payne said he would be vindicated. These accusations play out against the backdrop of a succession of breathtaking accusations against Fox News that have led to major changes there. Allegations of sexual harassment lodged in the past 14 months led to the departures of the late Fox News founder Roger Ailes and star hosts Bill O'Reilly and Eric Bolling, as well as other executives and staffers accused of enabling such behavior. NBC's Matt Lauer grilled O'Reilly on the Today show Tuesday morning over the accusations O'Reilly faced, without nailing him down. O'Reilly, who was paid millions of dollars to buy out his contract this past spring, said that no one had ever complained about his behavior — though he specified there had been no complaints to his employers' human resources departments. Former Fox News producer Andrea Mackris was paid $8 million to settle her accusations that he had harassed her, once it became clear she had taped O'Reilly's calls to her.